What Does MHM Mean When Someone Replies With It? What Does It Mean When Someone Replies With 'Mhm'? Mhm is a sound that most English-speaking people associate with "yes." It's a long "mmmm" sound followed by another long "hmmm" sound (similar to humming). At first glance, you might automatically assume that mhm has to stand for something given the sheer popularity of online acronyms. But mhm really isn't an acronym at all. Mhm is used the same way online or via text message as it is in real life. Generally speaking, mhm always means "yes," but it's not always as clear or enthusiastic sounding as a direct "yes". Here's how it works: One person typically asks another person a question that requires a yes or no answer. If the other person is thinking yes in their head, they may simply choose to type out mhm instead. When used in real life, mhm can be interpreted differently depending on the way the person says it. Tone plays an important role in whether the person is saying yes with enthusiasm or with apathy. Unfortunately, a person can't really convey their exact tone of voice online or in a text the way they can by using their own voice in person, so you'll have to use other factors to interpret any answer containing mhm. The context of the conversation, as well as the relationship between the questioner and answerer, can help you get a better feel for what a person really means when they answer with mhm. Friend #1: "Did you get the file I sent over this morning?" In the first example above, Friend #2 only needs to answer yes or no. They choose to use mhm, which isn't quite as crystal clear and direct as saying yes, but it may hint at the fact that a casual, friendly relationship exists between the two of them. Friend #1: "Hey did u catch last night's game??" Friend #2: "Mhm, epic play during the 2nd period!" In the second example above, you can see how context really influences Friend #2's answer. Their comment after saying mhm shows that they're probably speaking enthusiastically. Friend #1: "Are you sure you're okay to postpone our meeting until next week?" Friend #2: "mhm...just need to edit it in my calendar." In this final example, you can see how context creates the opposite effect of what was interpreted in Example 2. It's clear that the two friends are changing their plans, and although Friend #2 seems to agree to make the change, their use of an ellipsis and an apathetic comment suggests that they may not be happy about it. Mhm is considered synonymous to yes, but there's usually a time and a place for it to be used. Here are a few general guidelines to consider if you want to add it to your online/texting vocabulary. You're having a super casual conversation. Texting a friend? Answering a question on Facebook? You're probably fine to use mhm. You have more to say after you give your answer. As mentioned above, mhm is largely influenced by context, so if you wish to leave a comment related to what you're saying yes to, your mhm answer will reflect that. You're thinking "yes" should be your answer, but feel indifferent or possibly opposed to it. So you know you need to say yes, but your feelings aren't totally there with it. A simple mhm may convey that if you want the questioner to pick up on your indifference or opposition. You're having a proper or professional conversation. If you're emailing your college professor, talking about a serious problem, or having any other conversation that requires proper email etiquette and no joking around, your best bet is to stick with just saying yes. You want to be clear as day about your answer. Not everyone knows what mhm means, nor are they able to interpret it as a sincere yes depending on how it's used. Stick to saying yes if you want no confusion about your answer. You have no doubts about saying yes. 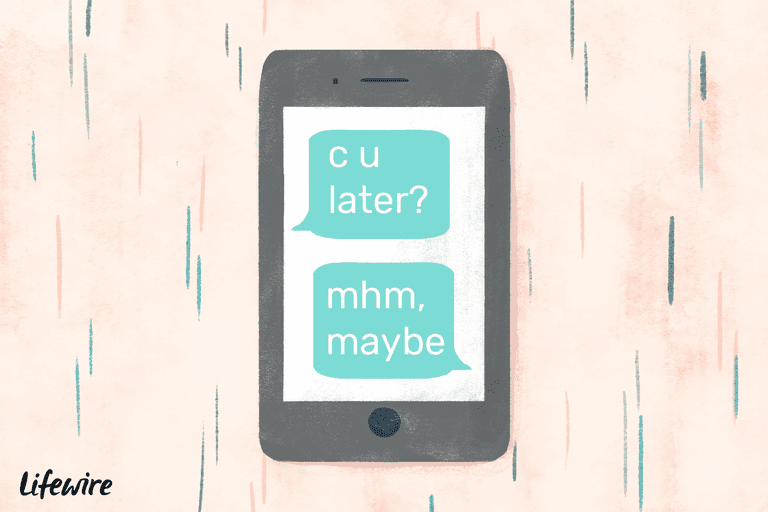 When you say yes online or in a text, people will typically take your word for it. Say yes when you want to make it known that you're not really thinking or feeling a possible no. What in the World Does 'IDTS' Mean? What in the World Does YH Mean? What in the World Does LGHT Mean? What in the World Does NMU Mean? What in the World Does RUH Stand For? What in the World Does FWIW Mean? What in the World Does KTFO mean? What in the World Does OFN Mean?